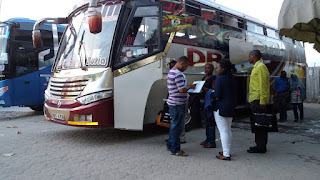 Dreamline Express, one among the growing in fame bus company in Kenya launches a new route. The new route, Mtwapa - Nakuru was launched on 30th October from Mtwapa branch under the management of Omar, the Manager at Mtwapa Office. This comes after demands by their customers to start a new route to Nakuru as they loved the service they acquire from Dreamline Express. To Book or make reservations, visit any dreamline office near you. Karibu Dreamline.